Here is our guide to the best play-for-fun mobile poker games for iOS and Android. 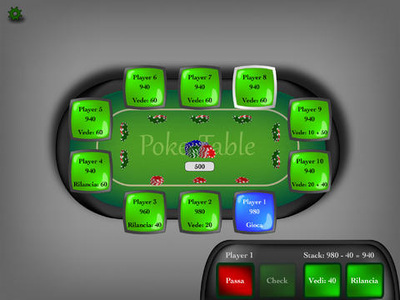 They are an excellent way to learn the rules of poker or improve your game because you can just focus on playing the best possible had without having to worry about losing money. The mobile gambling industry is now a multi-billion dollar business, and with more companies electing to head down the mobile route, this number looks set to continue to rise for the foreseeable future. One of the areas in which the industry has flourished is through the form of mobile poker. As a side to that, many companies have decided to release free to play iPad poker apps that can be downloaded directly from the app store. These types of apps have differentiating forms of longevity and features but ultimately are designed to provide an environment where player can play poker, but without the financial investment. 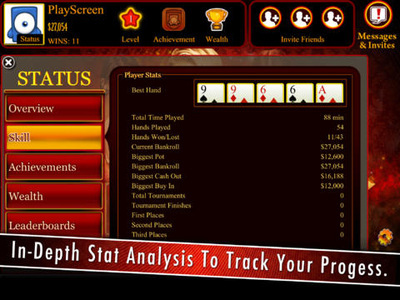 The following apps are some of the best play-for-fun poker apps going and are available for free on the iPad. 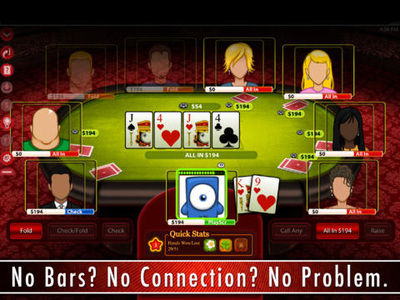 The Texas Holdem Free Poker game takes you into the world of heads up poker and is a game that allows you to progress the more you play (or better you get). The game starts with 5 levels that you must work your way through that include Grandma’s house, Buddy’s house, Las Vegas Casino, Regional Competition and World Championships. 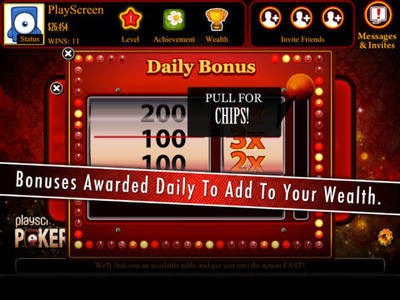 Each one will require you to have accumulated a certain amount of chips to get to the next event. You can play each event as many times as you wish to boost your bankroll and some will require you to play more times than other to move up. The games themselves are actually pretty engaging. The graphics are pretty sharp, if a little basic, but the game has been designed around making it as user friendly as possible, and that’s exactly what it does. We also liked the fact that the games started at ‘Grandma’s house’, which gave beginners a brief insight as to hand strength and also the most profitable decisions to make. On the whole, the games aren’t particularly tough, but as you progress to the two higher levels they do offer a little more resistance even for the less competent players. Considering this app is free, the challenge of moving through the ranks and increasing your bankroll actually gives it a fair amount of longevity, which is a massive positive in this market. 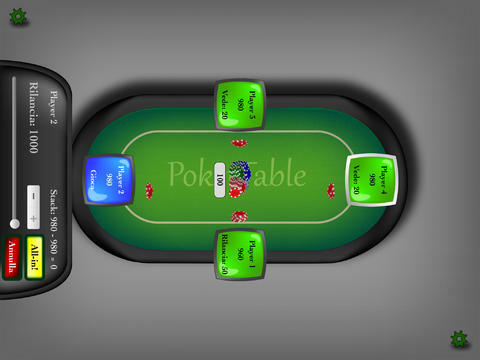 Poker Table is a little different to the majority of free play poker apps for iPad out there. For this version, you will need an actual deck of cards, but the app allows you to use virtual chips and also take advantage of the blinds clock, setting buy in amounts, amount of players and even blind increases. 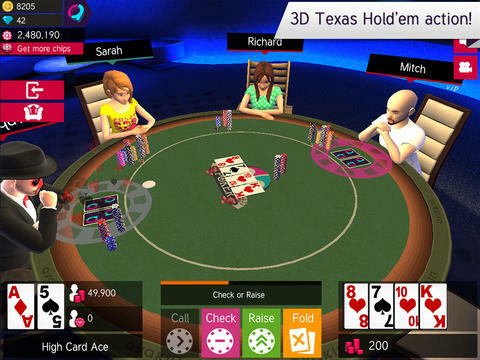 It basically eliminates the need to have things such as poker chips and a specialised poker table and allows you to just simply play poker, whilst using the app to cover the important features of a game of Texas Holdem. 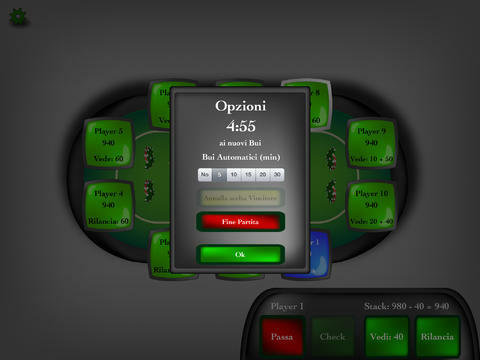 Once you have selected all your settings before starting your game, when at the table you will be asked to make your decision pre flop, on the flop, turn and river, just as you would in a standard game. Depending on how many are playing (the free version allows a maximum of two, but the paid for version allows up to 10 players) will mean you will need to pass the iPad around as and when a player needs to make a decision. In reality, the concept of this game is actually really cool. It eliminates the need to buy what can be expensive chip sets and is a great way to play especially if you are on the go or traveling. 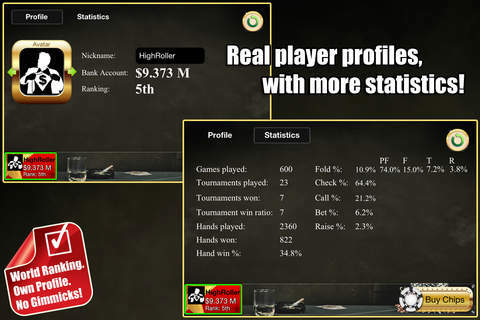 Poker 2 HD is one of the few free apps that allow you to interactively play with a host of real players from around the word. It works much in the same way as a traditional poker room would, with players signing up via a range of ways including Game Centre and Facebook. The depth of the app is actually really impressive and in all honesty, has more features than the majority of paid for or even real money poker apps. 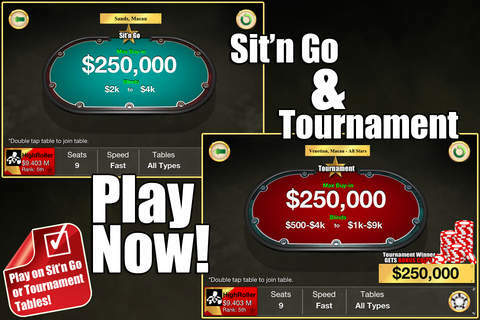 Once into the app you will be able to select between a range of tables, tournaments or practice games to get you started. Admittedly, the number of players on the app is pretty low, but you should be able to get a game the majority of time. 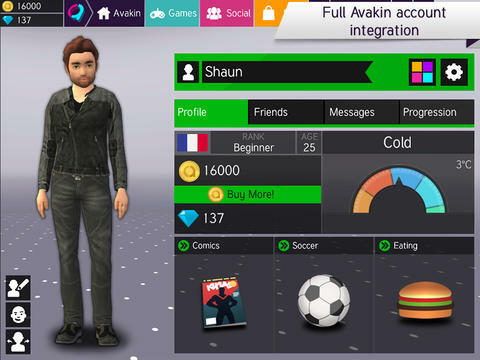 The more you play, the more your rating increases and then you will be able to buy products from the shop such as additional chips, cool badges, food & drink, assets, pets characters, flags and a whole host of customisable features to add to your account. 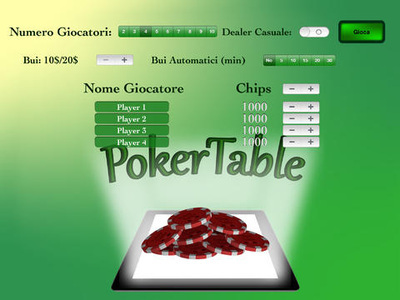 The design of the tables is excellent and it allows you to interact with other players as well as seeing how well they have performed from their time on the app. 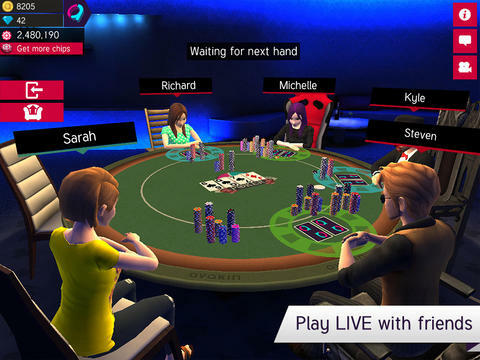 Avakin Poker is one of limited amounts of 3D poker games that are currently on offer. For those of you that are familiar with PKR, then you will likely see a lot of the same sorts of graphics and emotions that are found on that game. Granted, the graphics do suffer slightly as, after all, this is a free app on the iPad, so sharpness is never going to be its strong point, but in terms of gameplay this app actually works really well. There is actually quite a lot to do on the app as well. The game will face you up against players from around the world on the Avakin Poker network, so it means that you can avoid the generic qualities which some of the computer operated games include. 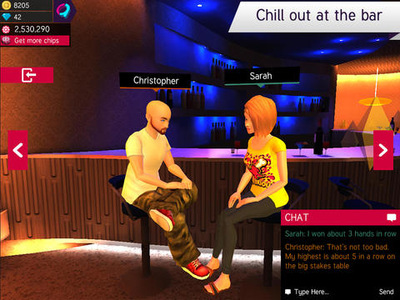 There is a social room where you can go and chat with other players at the virtual bar, head to the online shop where you can but new items for your avatar and also check out the ongoing leader boards for players who have won the most chips that week/month/year. 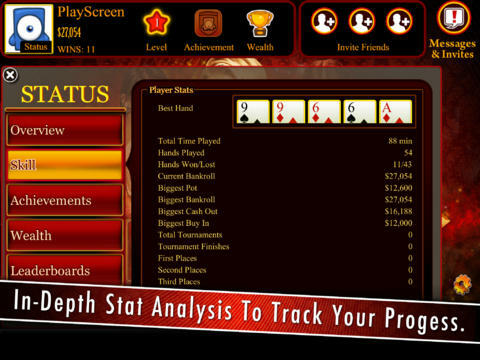 All in all, one of the most detailed free poker apps we have come across. 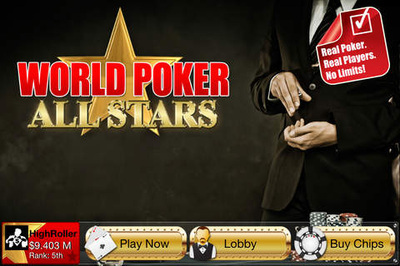 The WPAS allows you to play poker against both players from around the world on the WPAS network, and also the computer. 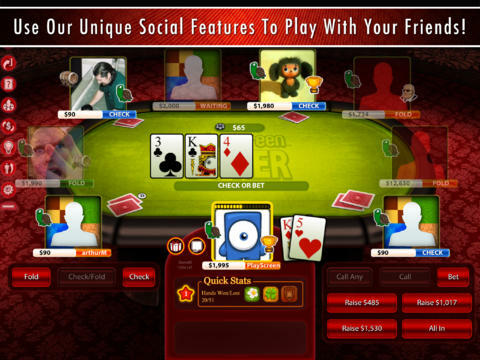 The app is easily one of the better in the free poker apps going and its design is probably second to none. The concept is very simple really; just register a username before clicking on the play now button and you will instantly be sat at a table. Unlike most apps of this kind you can’t register an account so each time you come back you will basically be anonymous meaning the chips that you have accumulated will be lost. 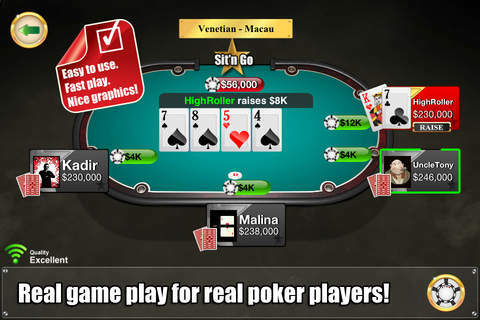 This is probably the only downside into what is otherwise a really solid free poker app.